Have I ever told you how much I love Tahdig? I do, I really really REALLY DO! And you know what I do? I don’t know why, but most often than not I will eat the tahdig after finishing the rice on my plate…ya know like saving the best for last. It is not uncommon for people to make a B line for the tahdig plate and take a piece or two before it is all gone, because, here is the truth folks, tahdig disappears fast! You better get to it or you are out of luck! There are a few different ways to make tahdig which I will be featuring on the blog on at a time. Today’s post is one of the methods which uses Lavash bread. To be honest it is not particularly my favorite and I had never made it before until a couple of days ago. Note that I used a 3 quart non-stick pot here. The amount of oil, saffron, and lavash used need to be increased for bigger pots. Also, it is imporant to have enough oil that so that the bread won’t burn.Let’s face it, essentially, you are frying the bread. You don’t believe me? I have proof! Place a generous amount of canola oil in the pot, I used two tablespoons. Add one tablespoon of saffron and enough water so that the whole bottom of the pot is covered in a thin layer of liquid. With a wooden spoon give it all a nice stir. Now do you see how in the picture above the oil: 1) has separated from the water? and 2) is mainly gathered in one part of the pot? Yeah, that’s not good. That is a problem. Since water and oil don’t mix, the key here is to stir the liquid to move around the oil and immediately drop in the lavash in the pot before the little oil circles find each other and make a big circle! You can cut your lavash so that if fits the bottom of the pot perfectly, you can measure out the size just before you put in the liquids. Alternatively, you can also place longer pieces of lavash that come up the sides of the pot. If you do, make sure that the sides are oiled. You can place one or two layers of lavash bread. I went with one layer. Top with rice and proceed to either make chelow or any type of polow that you wish. The lopsided disaster above was a major disappointment. It was my first try. I was soo soo mad. All I could think was, how can one side burn and the other side come out just right. What did I do wrong? Then when I was studying the pictures and going back through my steps it hit me where things went wrong: 1) the big oil circle, 2) must use more oil. Going back to the first picture, do you see where the big problem is and how the oil separated from the water? That’s why I emphasised on stiring the liquid with a wooden spoon and immediately dropping in the lavash. What killed my tahdig the first time, more than anything, was the fact that during the few delayed moments that I was shooting the pictures the oil and water separated and I didn’t think about stirring them before adding the lavash. mmm I LOVE tahdig, armenians also call it “chor”, thank you so much for this technique. My mother makes it using a combination of butter and oil and doesn’t use any water, I’m always nervous it will burn, but she emphasizes low heat and it always comes out perfect! What is the purpose of the water? 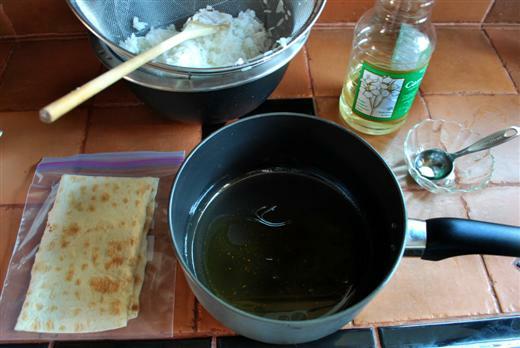 What I make tahdig with lavash or even potatoes, I just use oil and it turns out. I had leftover rice the other day, and I didn’t have lavash, nor potatoes. The only thing I had was sangak- and I never made it with sangak before. If you want a REALLY oily delicious tahdig and don’t care about calories- wow was that tasty! @ Meg, butter and oil work well together as well. Indeed, the most important thing when making Persian rice is low heat. @ JoonB, I would think that if you only use oil, then the tahdig would come out super oily…Tahdig with Sangak? I can’t imagine that not being good! I am going to have to try it out myself…and blame you for the extra calories! That is definitely the science of Tahdig with or without lavash, getting that beatiful golden brown crispiness without burning it. It looks great. Give me the entire batch with a bowl of gaymeh or ghromeh sabzi and I can eat it all. Tahdig rocks! I have a few other methods of making tahdig that I will be featuring soon! Shari, I have never tried Sangak, but maybe I should one of these days! you may think I’m crazy, but for years I used lavash. One day, completely by fluke, my boyfriend had eaten all the lavash in the house- I took a gamble and used a flour tortilla- and O-M-G!!!! oddly the texture and tast is perfect. 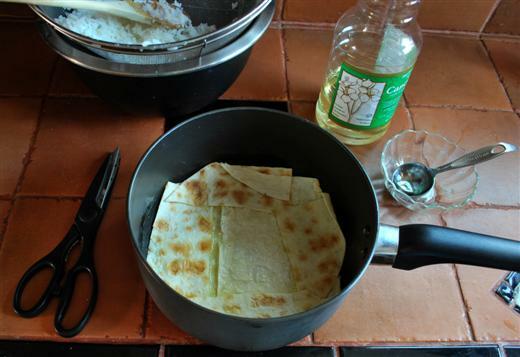 I use my regular steps, some oil and a sliver of butter melted into the oil for taste and scent, with safaron at the bottom, thrown on the tortilla and the rice…. YUMMMMY! I don’t think you’ll be dissapointed! MsParinaz, I love tortillas, so no, I don’t think I would be disappointed!! Thank you Thank you Thank you for your wonderful site!!! I have been cooking Persian food for my Persian-Armenian husband for the last several years..Aaboosh, Koreshts (of different varieties), and even Ghormeh Sabzi (from scratch…none of the pre-packaged frozen herbs here). I have been searching high and low for this recipe…Thank you! A little question: How can I make the crust thicker? Does using a heavy bottom cooking vessel make a difference in this? Natalie, yes, a heavy bottom non-stick pot does make a huge difference. 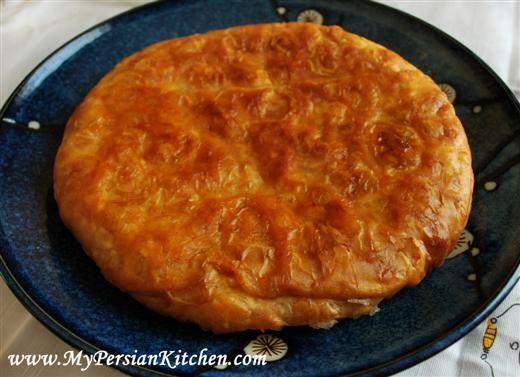 In order to make this tahdig thicker you can use two layer of lavash bread as well. Good luck! Try using chicken thighs for tahdig. You can leave the skin on or take it off,better with it left on. Poach chicken thighs till just cooked, then place skin side down in oil and butter mixture in a non stick pot and add par boiled rice as normal. Cook on high heat for ten minutes then reduce heat to med low til rice is done. This way you have the whole meal in one pot. Looks nice too. Works great with fava beans and dill rice even better. 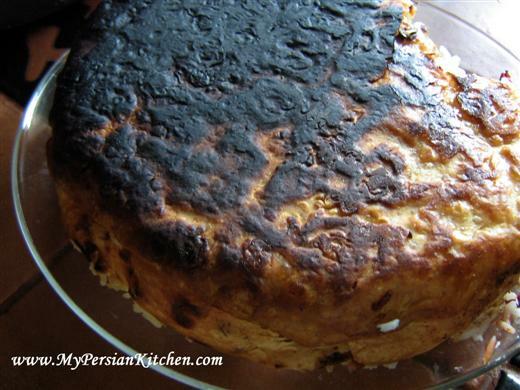 Do you think it would be possible to make tahdig with lavash in a Persian rice cooker? 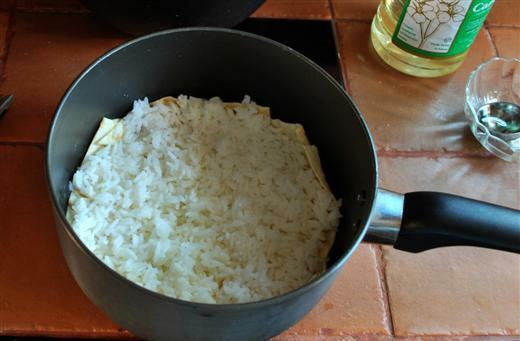 Kelly, I have never done it, but I suppose that you’d have to remove the rice once all the water has been absorbed and then reload with oil, lavash and rice.